Astro Shark HD iPhone Game Review: Sharkingly Fun! 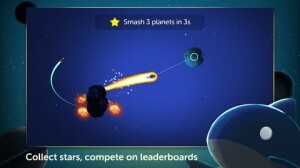 Astro Shark HD is an iPhone game developed by Unit9. In this physics-based interstellar adventure, players must enter into orbit around planets and asteroids, build up speed, and fly around the universe…without ever being hit by a rocket! 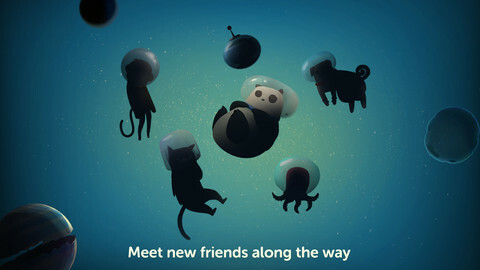 As the game progresses, you will meet new characters, including a space panda and a space octopus! As to why this game is called “Astro Shark” when the “shark” actually looks more like a chubby killer whale…well, your guess is as good as mine. 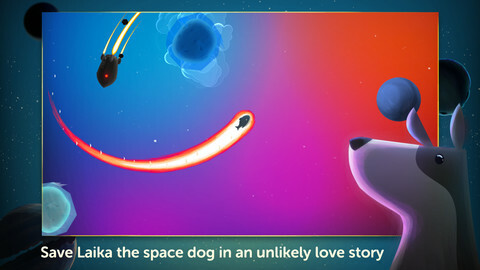 The visuals in Astro Shark HD are very beautiful, with a lot of personality and energy. But the best part of this game is the hypnotic, physics-based gameplay itself. It’s easy to get lost in this fun game, and realize that you’ve been playing the game for way longer than you thought. If you liked Electric Tentacle and Nano Panda, Astro Shark is a brand new game from the same creators. 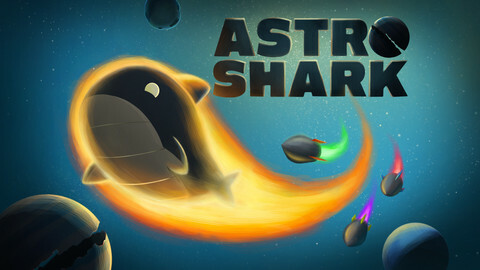 With great art, fun gameplay, and a good soundtrack, Astro Shark HD is worth checking out. For just 99 cents, you get way more than a dollar’s worth of mobile gaming fun! Want more? Check out the official Astro Shark HD game page on Facebook! Astro Shark HDis compatible with iPhone 3GS, iPhone 4, iPhone 4S, iPhone 5, iPod touch (3rd generation), iPod touch (4th generation), iPod touch (5th generation) and iPad. Requires iOS 4.3 or later. This app is optimized for iPhone 5.